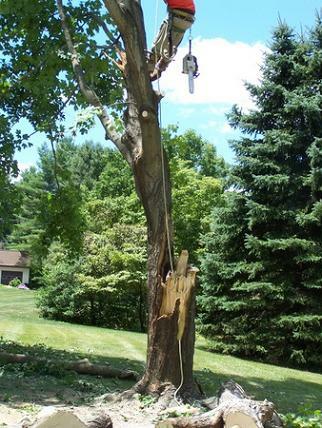 Sometimes Mother Nature's disposition is anything but calm. 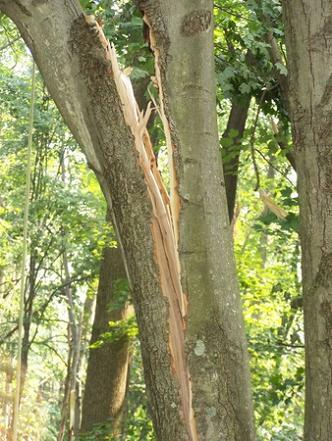 Unless you've been on the receiving end of her bad temper it's hard to visualize. 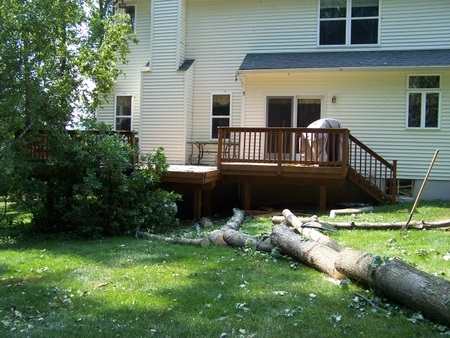 We've collected a few shots of the damage that can be sustained during a high wind storm and the resulting cleanup. 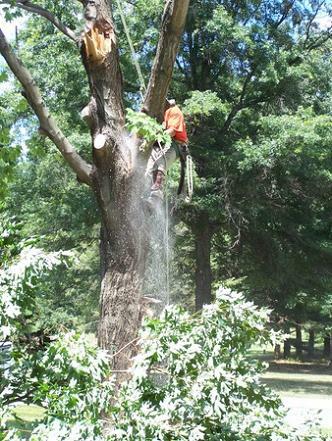 A tree is a living thing, and its integrity and stability change over time. 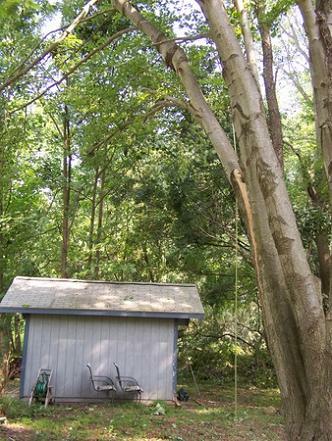 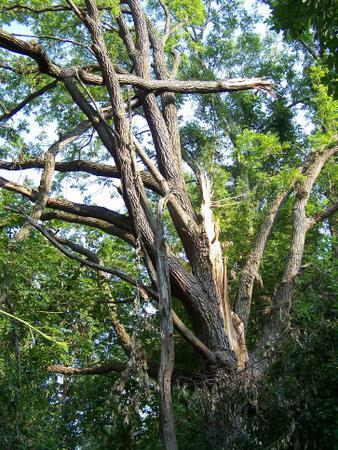 Never assume that a tree that has survived 10 severe storms will necessarily survive an 11th. 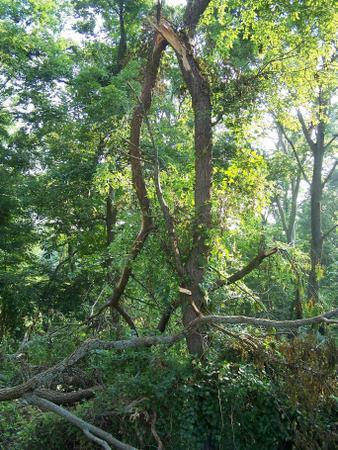 This means power lines, homes and other structures that might not have been threatened a few years ago might suddenly be under threat by a tree that has grown larger. 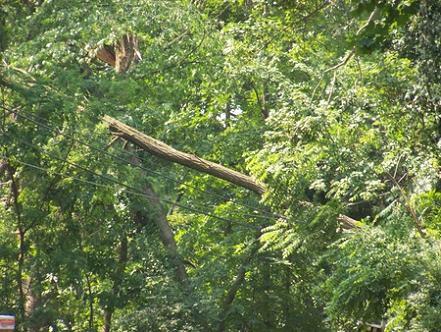 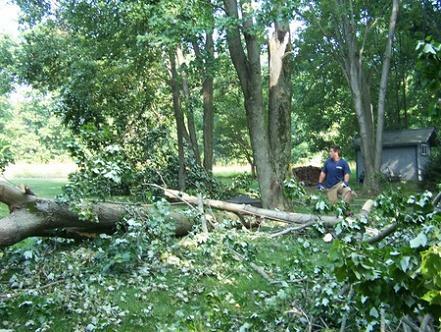 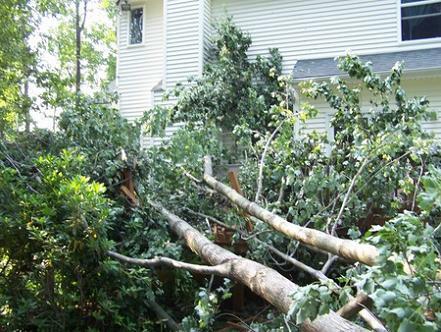 Preparing trees for these natural disasters is a must and should be done well in advance of the stormy season. 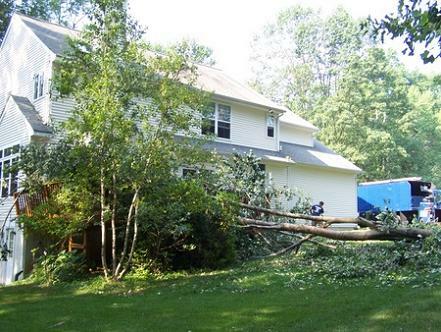 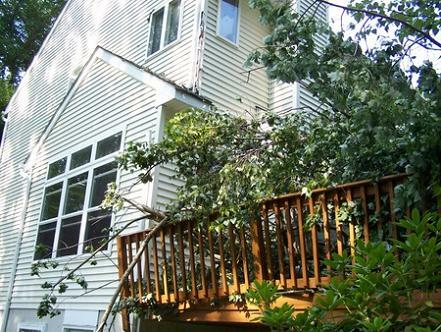 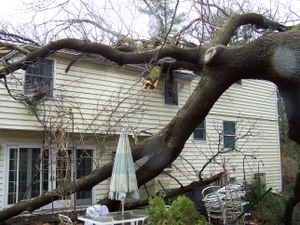 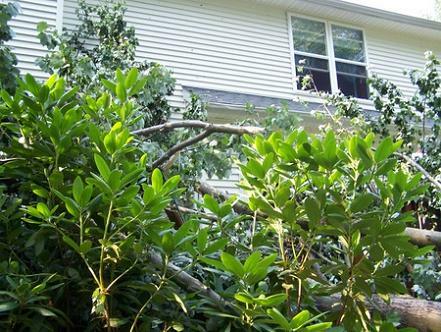 To help ease these dangers, we'll evaluate your trees and in doing this will help you determine potential weaknesses and dangers. 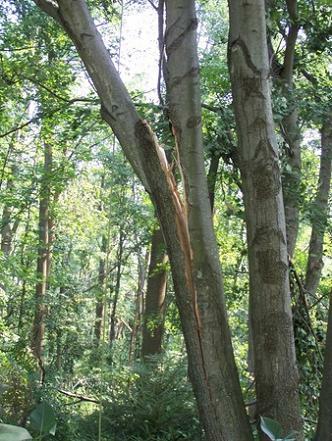 Peeling bark or gaping wounds in the trunk also indicates structural weakness.